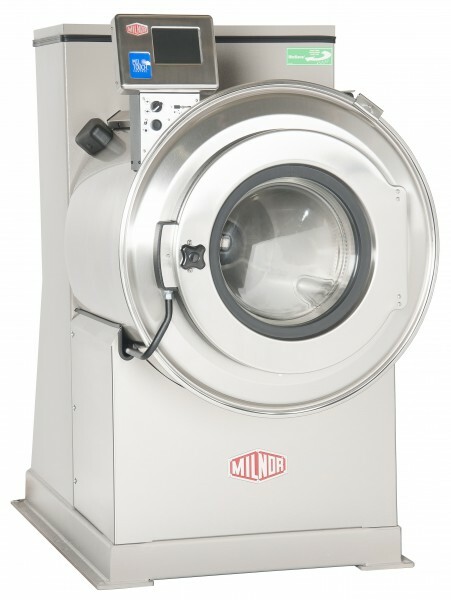 Pellerin Milnor introduced the next generation of V-Series washer-extractors at CLEAN ’15 in Atlanta. 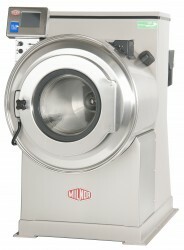 The 400 G 30022 VZZ (60 lb. 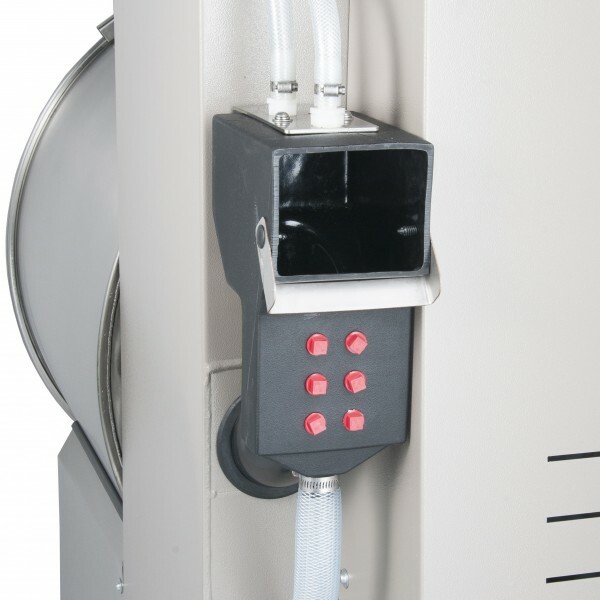 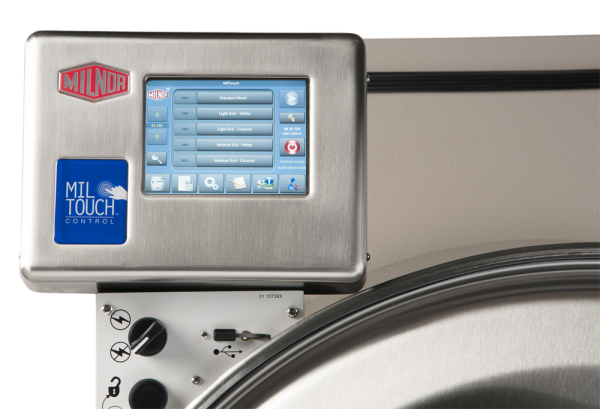 capacity) rigid-mount washer-extractor has many exclusive features including: highly programmable MilTouch™ touchscreen control, RinSave® water saver standard, continuously welded H-frame that fits through a 3’-0” door, and stainless steel skirting standard. 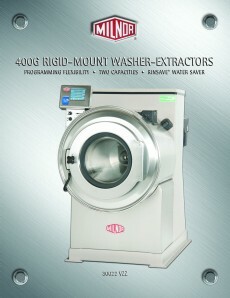 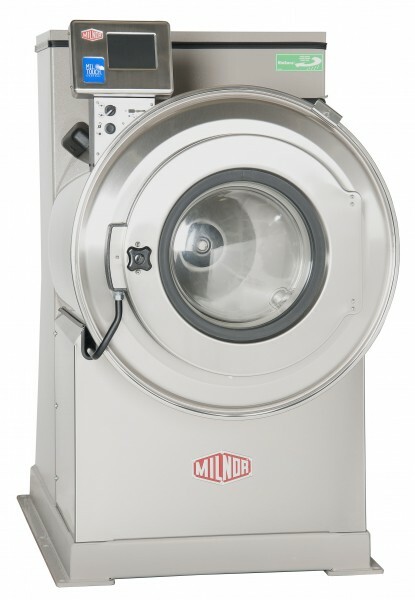 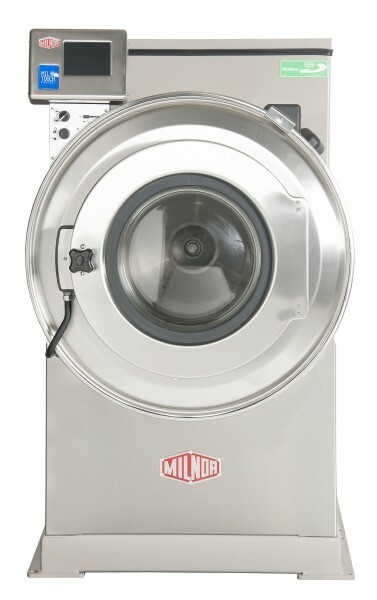 Milnor’s 30022 VZZ washer-extractors can reach up to 400 G’s for excellent moisture removal. 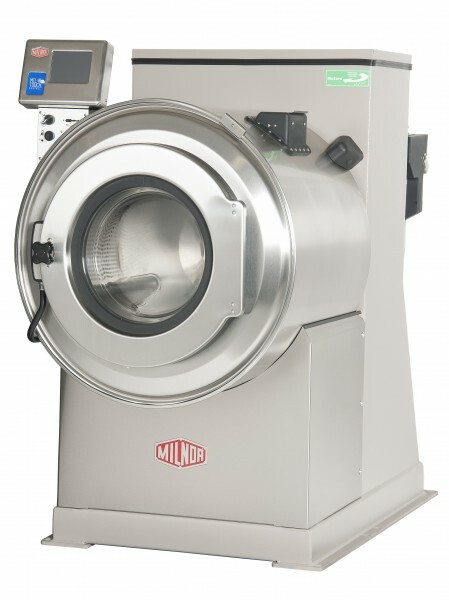 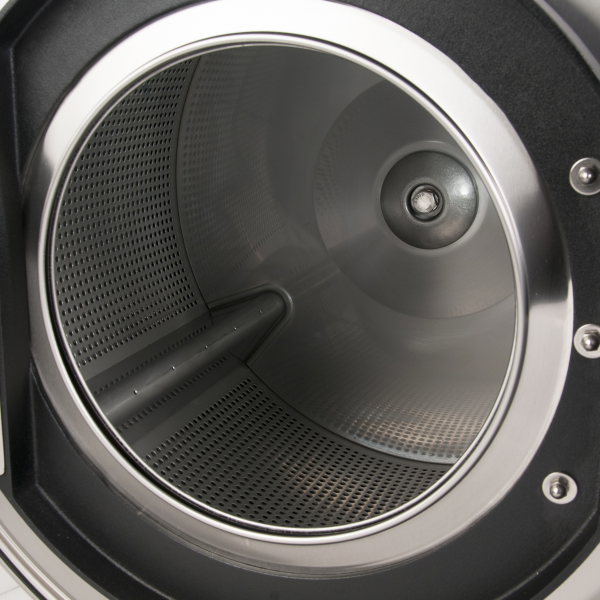 From precise basket rotation (wetcleaning capable), programmable water levels (+/- 1/10 of an inch), overnight soak, the 30022 VZZ rigid-mount washer-extractor is highly programmable to suit any laundry’s needs.